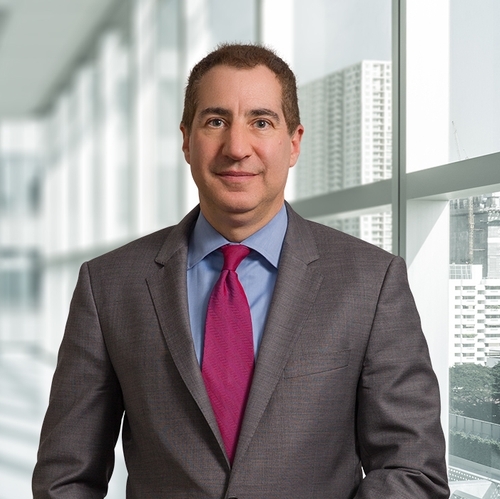 Larry, co-chair of the firm's Leasing Practice Group, focuses his practice in the areas of commercial real estate leasing and land use and development. He handles a variety of matters including the acquisition and sale of real property; the procurement of municipal, county, and state development approvals and permits; and the guidance and management of the real estate development process from the initial purchase to the issuance of a final certificate of occupancy. Larry counsels individual and corporate landlords and tenants regarding the legal principles and practical consequences of commercial lease provisions. Following an analysis of the client's unique needs, he tailors the preparation, review and negotiation of the lease to achieve the client's goals. He has represented landlords and tenants in connection with leases for office buildings, shopping centers and warehouses. Larry is well versed in the intricacies of New Jersey's Municipal Land Use Law and counsels clients in connection with the purchase and sale of real property and its suitability for development. He prepares, negotiates, and reviews documents for the acquisition and purchase of land and advises clients regarding diverse land use and development topics such as title and survey issues, environmental factors, off-tract improvements, sewer and water issues, purchaser due diligence concerns, and municipal design standards and zoning district development regulations. Larry also appears before municipal agencies such as planning boards and zoning boards of adjustment. What type of lease provision should be included to efficiently settle disputes between landlords and tenants in determining fair market rental value for upcoming lease extension periods? "An Overview of Lease Documents; What's Important and Impacts Value," sponsored by the Central Jersey Chapter of the Appraisal Institute, June 13, 2007.